We have our fabric manufactured from the best fabric manufacturing units in Pakistan. The basic weaving pattern, in which each thread of the warp is interlaced with filling thread, or woof, is called the plain, or taffeta, weave. The word taffeta probably originated from the Persian taftah, meaning "twist." Familiar names for fabrics in the plain weave are batiste, broadcloth, calico, cambric, crepe, challis, cheesecloth, chintz, muslin, organdy, percale, seersucker, voile, and tweed. Variations of the plain weave are the basket and the ribbed weave. Monk's cloth, oxford shirting, and plaids are examples of the basket weave; poplins, bengalines, and piques are ribbed weaves. Twills: A twill weave is easily identified by its diagonal pattern of parallel ribs. Our supply of twill fabrics encompasses all patterns, weights and color combinations. We can offer 160 GSM till 500 GSM for this twill Fabrics. Drills: A strong twilled cotton fabric used in men’s and women’s slacks, we offer drills in a variety of widths and weights. Sateen Fabrics – Sateens are fabrics using a satin weave using short-staple yarns such as cotton. The principal characteristic of the satin weave is its smoothness, which is achieved at the cost of strength. The smooth surface of the satin weave is produced by passing the warp yarns over a number of filling yarns, keeping the interlacing to a minimum. We can offer very good quality of Sateen Sheeting Fabrics. In threads we can offer sateen from 180-1000 threads. Our Sateen contains 120-380 GSM weight. We can also weave sateen for our customer’s Special requirement. Dobby & Jacquard Weaves: These two weaves are used to produce patterned fabrics. Small, repetitive motifs, such as the bird's eye, a small diamond with a dot at the center, used in shirting and dress fabrics are dobby weaves. Intricate patterns are produced on the Jacquard loom, named for its French inventor, Joseph Marie Jacquard. Jacquard weaves are used extensively for upholstery and drapery materials, such as brocades, brocatelles, tapestries, and matelassés. Canvas: This heavy-duty woven fabric, known for its sturdiness, is made of cotton. It differs from standard cotton fabric in the way that it is woven. We offer plain and duck canvas in a variety of weights and numbers and, of course, in a wealth of colors. Denim: Denim clothing and accessories are a staple of both young and older consumers alike. We offer an attractive variety of indigo rope-dyed denim fabrics in a range of styles and colors including poly denims, stretch denims, basic denims, and specialty varieties. Stretch: No matter what your need for stretch woven fabrics, Naklahwear has the product. 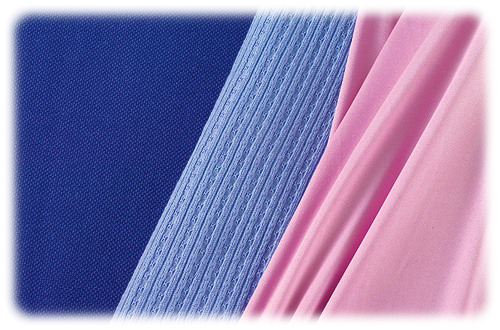 We offer woven fabrics in stretch including spandex, lycra and coolmax. Pile Weaves: Some pile weaves, including velvets, plushes, corduroys, and Turkish toweling, are produced by a combination of the plain weave and the use of wires to draw from the cloth additional warp or filling yarn, forming loops that create the pile. Turkish toweling has uncut loops, in contrast to velvets in which the loops are cut. 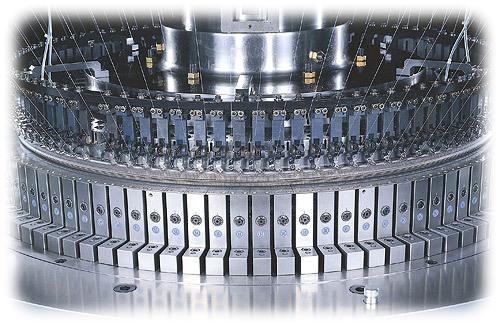 Pile fabrics may be produced also by weaving two pile fabrics face to face and then cutting them apart. This process is more economical than the cutting of loops, required in the production of velvets. Woven carpets and rugs are pile fabrics.